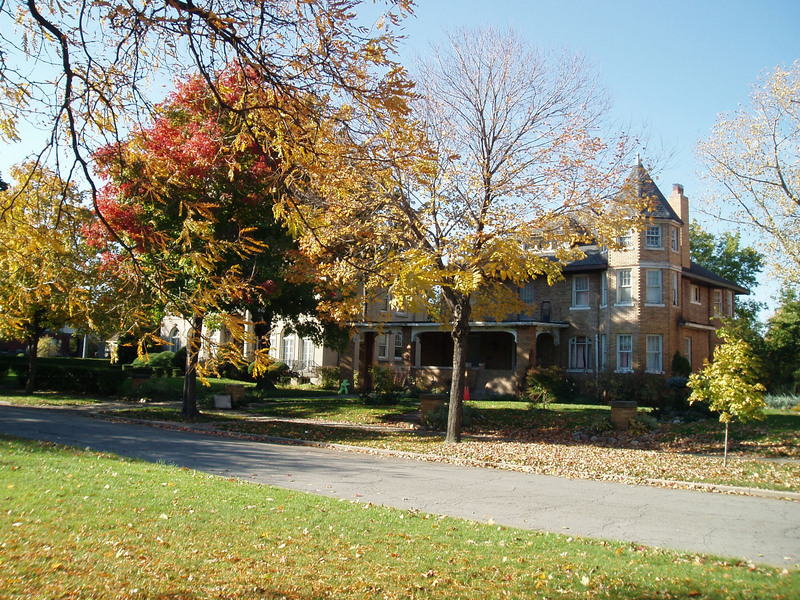 This residential neighborhood on the east side of Woodward Avenue and near the city’s border with Highland Park was first plotted in 1892 by Joseph McLaughlin and Edmund Owen. Most of the homes, however, date from the first two decades of the Twentieth Century. Detroit emerged as a l eading industrial metropolis is the span following the Civil War and this economic boom generated great wealth for quite a few families. Rapid growth of the automobile industry in the Twentieth Century produced even more millionaires. Many of them used some of the wealth to hire an architect to design a prestigious and significant 3,000 or 4,000 square-foot home in a distinguished neighborhood. Boston-Edison was one of the most attractive neighborhoods to grow in the early auto age, but it was rivaled by the neighborhood just across Woodward: Arden Park-East Boston. One of the Fisher brothers built his home here and, John Dodge—one of the two Dodge brothers who became fabulously wealthy making parts for Henry Ford and then founded the Dodge Motor Company—located his home here. 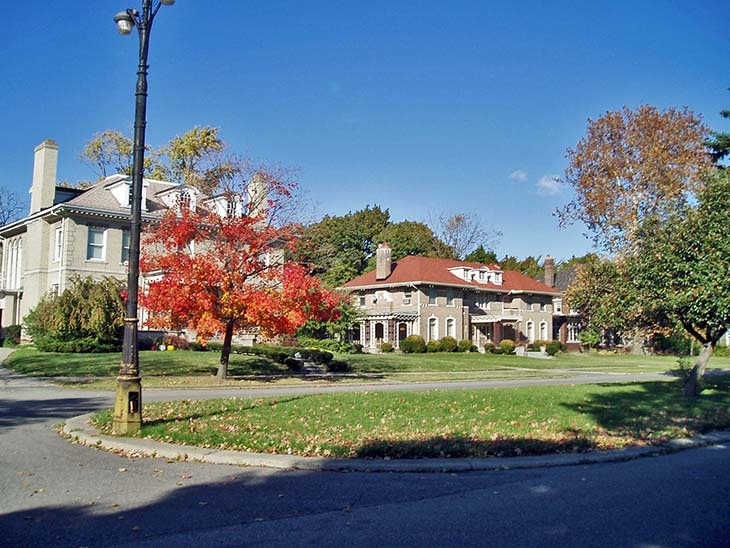 If you walk around this elegant neighborhood with its two broad boulevards and numerous trees, you will see homes designed in a variety of the styles that were popular about a century ago: Italian Renaissance, Colonial Revival, Tudor, elegant Bungalow style and Prairie. All of the homes here are spacious, two-story residences sited on very large lots. 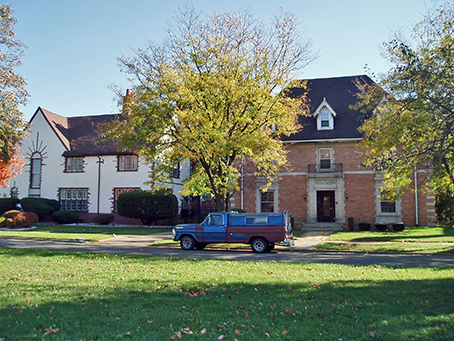 Real estate broker Max Broock, in 1910, changed the name of East Chicago Boulevard to Arden Park Boulevard and thereby gave this neighborhood its name. Two churches are included in this historic district: Most Blessed Sacrament Roman Catholic at the corner of East Boston and Woodward and Mt. Olive Baptist Church at 9760 Woodward. In many of the older metropolises in the United States, the financial elite included few Roman Cath olics until well after World War II. The most prosperous families were, quite often, Anglo-Saxon and Protestant. Of course this has changed in recent decades. Detroit, however, was different in that Catholics were well represented among those who prospered in the early industrial and early automobile era. Most Blessed Sacrament is one of the most attractive churches in metropolitan Detroit and is a national treasury in terms of illustrating Gothic architecture. It now serves as the cathedral for Detroit’s Roman Catholic archdiocese. However, when it was built in 1917, it was intended to serve as a neighborhood parish church. Its size and beauty reflect the wealth of the congregants. Quite likely, the Fishers, the Dodges and other very rich Catholic families helped with its construction. Similar to the Boston-Edison neighborhood, this area did not keep blacks out in the Jim Crow era. As early as 1940, prosperous blacks purchased homes here, including Charles Diggs, Sr.—a funeral home entrepreneur who was elected as a Republican to the State Senate in 1936 and then served three additional terms as a solon in Lansing. Another early black resident was Dr. Dewitt Burton, founder of Burton-Mercy Hospital. This was one of several proprietary hospitals for blacks that once existed in Detroit. Dr. Burton founded this hospital in 1949. It was located at 271 Mt. Eliot and at its peak had 150 beds. It closed in 1974. State of Michigan Historic Marker: A state of Michigan marker has not been erected. However, there are several modest black signs identifying this neighborhood and noting its listing on historic registers.